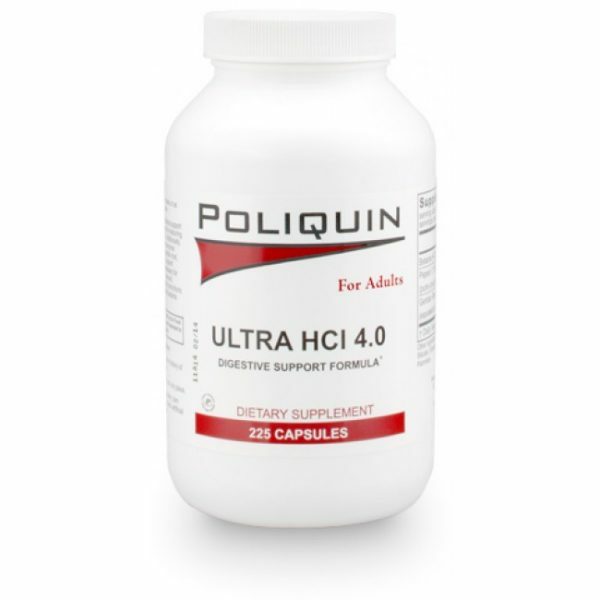 Ultra HCl 4.0 provides optimal nutritional support for a well functioning digestive system by featuring the acidifying factors in Betaine HCl. Additionally, Ultra HCl 4.0 provides the proteolytic enzyme pepsin along with the herbal bitter, gentian root, which has been traditionally used to support healthy digestion. Betaine HCl is necessary for vitamin B12 and iron. The stomach’s hydrochloric acid also helps by destroying ingested bacteria and microorganisms.